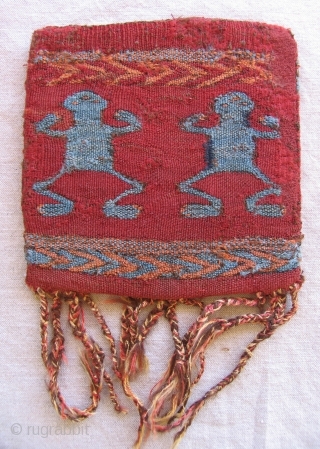 This Pre-Columbian textile fragment was made into a coca bag. 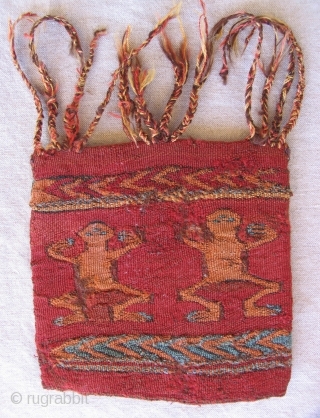 Peru, South Coast, ad 400 - 800. a sweet little piece, it is very unusual for an Andean textile because of its rich, soft copper tones, reminiscent of early Anatolian kilims. 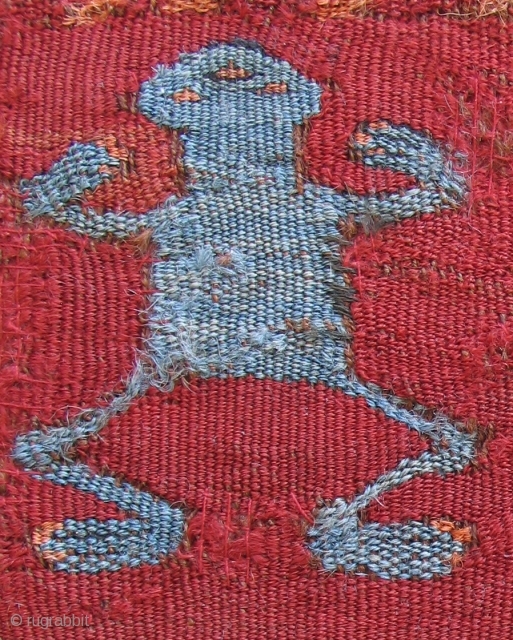 Its imagery is both lighthearted and charming. 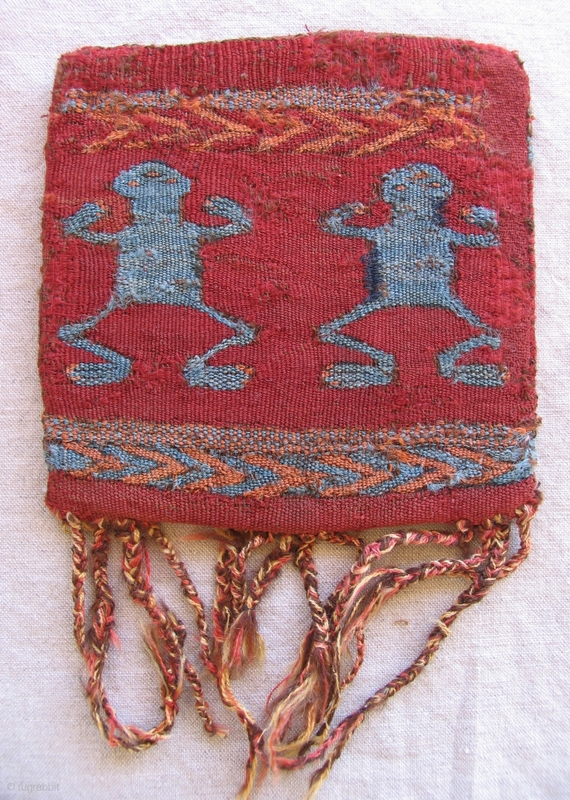 In the arid Andean region of Southern Peru, frogs are usually associated with rain or moisture and thus fertility. 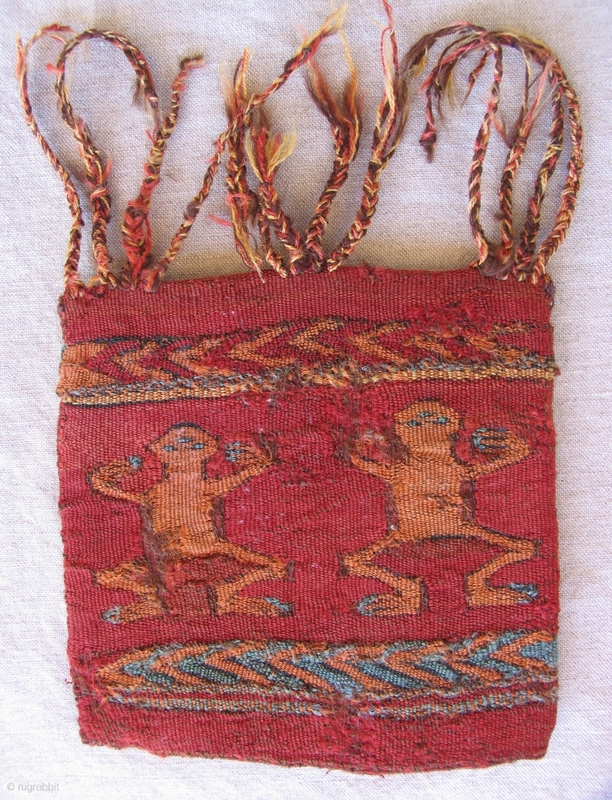 This piece appeals to rug collectors because of its warm madder-like ground color and light toned blues so uncommon in most Andean textiles. It's soft and beautiful alpaca fiber glows. Approx. 7 x 7 inches.